Chais Lund Curtains and Blinds has recently increased it’s ever growing and quality collections of fabrics to include the premium brand of Charles Parsons. Charles Parsons was established in 1915 and still remains a family owned business to this day. Charles Parsons wholesale to many textile industries and supply trade customers throughout Australia, New Zealand and the Asia-Pacific Region. 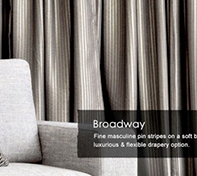 They offer a comprehensive, affordable range of drapery and upholstery fabrics that will delight any potential customer. Please chat to Chais today to find the best Charles Parsons fabric to suit your needs for your curtain perth or alternatively we can arrange a time to peruse the seemingly endless selections at the Charles Parsons showroom. Whatever your needs, Charles Parsons offers style, durability and timelessness that is of the upmost quality. Share the post "New Fabric Agency"